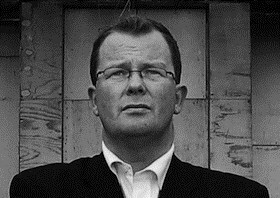 Brian McGilloway is the bestselling author of the critically acclaimed Inspector Benedict Devlin series. He was born in Derry, Northern Ireland in 1974. After studying English at Queen’s University, Belfast, he took up a teaching position in St Columb’s College in Derry, where he is currently Head of English. His first novel, Borderlands, published by Macmillan New Writing, was shortlisted for the CWA New Blood Dagger 2007 and was hailed by The Times as ‘one of (2007’s) most impressive debuts.’ The second novel in the series, Gallows Lane, was shortlisted for both the 2009 Irish Book Awards/Ireland AM Crime Novel of the Year and the Theakston's Old Peculier Crime Novel of the Year 2010. Bleed A River Deep, the third Devlin novel, was selected by Publishers Weekly as one of their Best Books of 2010. As I was finishing the fourth Devlin novel, The Rising, I developed the idea for my next book. During the winter a few years back, two children in different parts of Northern Ireland were found, wandering at night, in the middle of a snow storm, in their night clothes. The cases were unrelated but the image of a child, lost in a snow storm, resonated with me. I’d long wanted to write a book set in Northern Ireland, having only ever examined the place at a remove from the southern side of the border with Garda Inspector Devlin. I wanted to write about the North, more specifically, my home city of Derry and, more particularly again, featuring the ancient woodland of Prehen near where I grew up and in which my brothers and I had played when we were kids. A child, a snow storm and a woodland seemed to be to be the perfect ingredients for a type of fairy tale, especially if that lost child is being pursued by a sinister figure. But as well as having the features of a fairy tale, I wanted to write about the use of fairy tales and the significance of the settings in them, particularly of forests, places of darkness and the unknown; places of liminality between what we are and what we will become - much like William Blake’s Little Girl Lost and Little Girl Found. A psychologist friend of mine had once told me about how fairy tales are used to help identify forms of trauma suffered by younger children. The victims are offered a range of fairy tales and asked with which they most identify. Their choice will often reflect the form of trauma or abuse that they have suffered. So I wanted to write a fairy tale of sorts where the lead detective sits with the child in hospital at night reading stories to her. One of the stories, unwittingly on the part of the detective, elicits a reaction from the child and offers an insight into what has happened to her. I knew that, with his own family to look after, that detective would not be Devlin. If I was going to create a new character, it made sense to do something different from Devlin. Hence, Lucy. The fact that, at the time, my wife and I had our first daughter, after three sons, may have had something to do with it too. The book had initially been planned as a standalone but, as the novel progressed, I realised that I enjoyed writing Lucy’s character enough to want to revisit her at some stage. The idea I had for Hurt was originally called Background Checks and was to be a Devlin story but, again, I knew early on that it wasn’t right for Devlin. It developed partly after I heard an American police officer talking about a pimp he had arrested who was grooming teenagers. The method by which he had selected his victims had stayed with the officer. The pimp hung around shopping centres, keeping an eye out for teenage girls, generally on their own or hanging on the periphery of groups. He would pass the girls and casually say ‘You’ve very pretty eyes.’ If the girl ignored him, or told him to get lost, or even thanked him for the compliment, he forgot about them. If, on the other hand, the girl blushed, or more importantly, looked to the ground in embarrassment, he guessed that she had self-esteem issues and would be susceptible to grooming. The psychological insight required to have devised such a method and to use it to such horrible ends was shocking. Around the same time, a little before the Rochdale cases brought the issue into the public’s view, Barnardos published a report on the exploitation of children living in the care system by adult males outside of that system through grooming. The rise in the use of smart phones and tablets, and the ability to hide behind sock puppet accounts (so memorably discussed at Harrogate a year back, in a different context, admittedly) all fed into this. These ideas coalesced into the book, Hurt. And it seemed clear to me that it was a story more suited to Lucy, who is based with the Public Protection Unit, than Devlin. As the story changed, so too did the name, to Family Life after the Blue Nile song. The song was one which was playing a lot when I started writing the book and set the tone for many of its scenes. (Thankfully, Paul Buchanan released Mid Air during the development of the book, which widened my iTunes selection during writing while retaining the same tone and mood.) The book features a number of families, some completely dysfunctional - not least of which is Lucy’s own - and some trying in difficult circumstances to create a sense of normality for children who have suffered loss. It was the issue of loss that brought about the final change in name for the book, for it deals with loss and how it impacts on those left behind. The ending of Little Girl Lost had, and will continue to have, a profound effect on Lucy as a character. This book is about the rawness she feels in its aftermath and the fact that she keeps reopening the wound to make herself feel rather than become desensitised like those around her. The Nine Inch Nails song, Hurt, (via Johnny Cash) seemed the perfect soundtrack to, and title for, that story.